Monetary problems can lead to arguments, despair, anxiety and sadly, sometimes even separation or divorce. However, by reducing financial stress in a marriage, a couple can reduce the conflict and grow stronger as a team. During the process they can even become closer through working together and listening to one another to come up with workable solutions to their financial problems. Once the budget is structured in such a way it reads clearly, the totals of incoming and outgoing cash flow calculated will give a clearer picture of the couple's financial health. Couples who have difficulties in paying their expenses are more likely to experience financial stress. In this kind of situation it is best for both partners to sit down together and plan future spending. It may be that one partner is spending too much, making secretive purchases or simply not realizing the accounts are strapped for cash. However, once a plan is structured in a realistic way and also aligns with the newly-established budget, couples can move to an agreement on spending. It is generally a good idea for a couple to sit down and agree on the way money should and can be spent. This way a solid agreement and understanding is made, and it delivers a clear message to both partners what is acceptable and unacceptable in terms of finances, per a mutual agreement. This way if an agreement is reached ahead of time, there should be no conflict or frustrated feelings down the road because each partner is clear on money issues and what is within boundaries to spend. If one couple breaches the agreement by going over budget, this can be resolved by simply going back over the spending plan again and the conflict can be addressed. However, without a spending agreement, the argument will go in circles and the situation is likely to escalate. Financial difficulties can hit at any time. It is important married couples communicate about money. For instance, if one partner is overspending without the other's knowledge, this may put the couple into debt. You never know when a financial "rainy day" might occur. However, if both partners are upfront and share a mutual understanding, this could lessen the blow if a financial problem emerges (i.e. job losss or other emergency). Communication is one of the primary keys to a successful relationship - any relationship - but when two people live together, it is a must. Couples must unite as a team in most aspects of life and finances are not an exception. Those who want to reduce, or work to totally avoid, the financial stress in a marriage should strive to keep the lines of communication open and running without any sort of interference. Financial stress is hard on a marriage, but dealing with the money problems do not have to hurt a marriage. Like other aspects of relationships, finances do take special care and attention as well. Compromise is likely to be involved, so be prepared you may have to change your own spending habits, as well as your spouse changing his or her approach to money. However when a couple can sit down and discuss openly, honestly and come to an amicable agreement on how money is used, the stress can be significantly reduced. By taking a proactive stance about money and spending, couples can work together towards a solution and not against one another when and if issues arise. Great article! 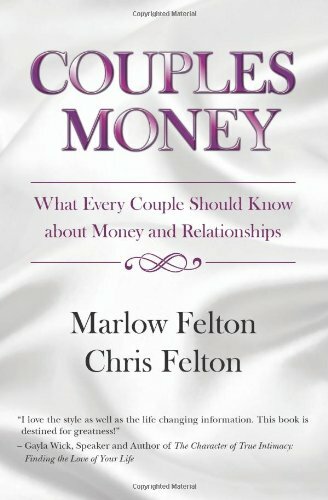 Financial problems are a huge issue in marriages today. I've done most of these things but I have also found that having a buffer is a great way to lower financial stress. Whether its $1000 or $10,000 having money set aside for those unpredictable issues is a must. That's a great tip, thanks! Also, thanks so much for reading and commenting. Also, welcome to IB! Thanks Shaddymak, glad you liked it and I appreciate your stopping by.